GOING ON NOW! 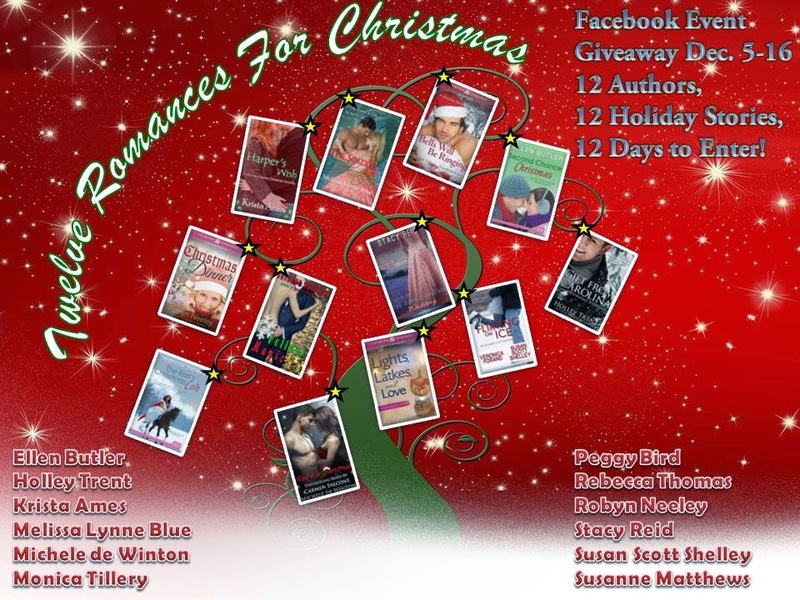 - 12 Romance Authors have come together to offer a dozen Holiday Romances to one lucky winner!! For 12 Days, December 5 - 16, there will be chances to enter to win all 12 novels (ebook format only). Stop by throughout the event to comment, share & tweet. The more you participate, the higher your chances of winning! Authors will share blurbs & excerpts throughout the event. Tell your friends and spread the holiday cheer.